KICP Seminars - Usually Fridays, 12 PM, ERC 401, unless otherwise specified. March 15, 2019 Neutrino Non-Standard Interactions: Present bounds and future implications Ivan Martinez-Soler, Fermilab and Northwestern U.
Binary neutron star mergers provide one of the richest laboratories for studying physics with ground-based interferometric gravitational-wave detectors such as advanced LIGO and Virgo. After such a merger, a compact remnant is left over whose nature depends primarily on the masses of the inspiralling objects and on the equation of state of nuclear matter. We will discuss the search for short and intermediate-duration post-merger signals from GW170817, as well as all-sky, all-time searches for the same. In addition, we will describe ongoing searches for the detection of transients like GW170817 in electromagnetic wavelengths. With the Zwicky Transient Facility recently achieving first light, it is now fruitful to use its unprecedented combination of depth, field of view, and survey cadence to perform Target of Opportunity observations. Using the 50 square degree field of view of the instrument, it is possible to follow-up events from systems like the Fermi Gamma-Ray Burst Monitor, where it can be necessary to cover thousands of square degrees. We will demonstrate on short gamma-ray bursts how it is possible to use this system to do follow-up on this scale. Famous "information paradoxes" in black hole theory can be solved if quantum information on horizons is delocalized or "spooky", like states of entangled particles. Similar spooky correlations on the inflationary horizon are estimated to produce curvature perturbations with a dimensionless power spectral density given by the inflationary expansion rate H in Planck units, larger than standard inflaton fluctuations. Current measurements of the spectrum are used to derive constraints on parameters of the effective potential in a slow-roll background. 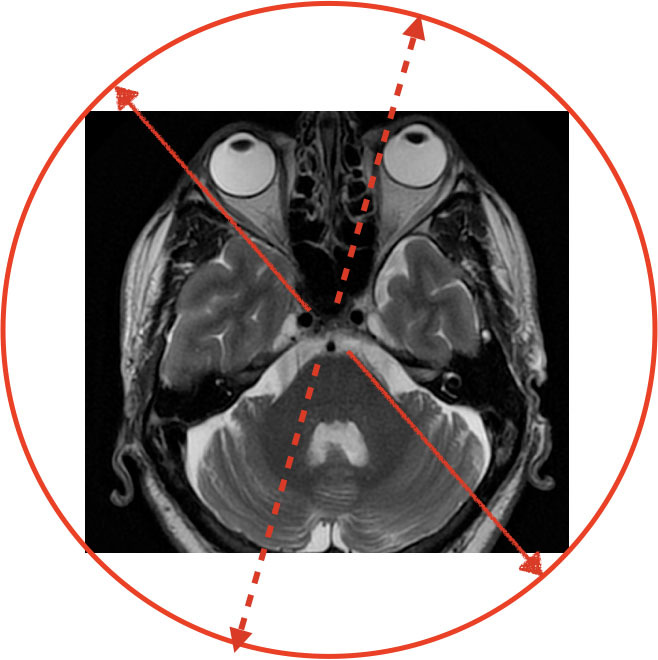 A distinctive and robust new prediction, in the sense of being insensitive to the details of specific spooky models, is an exact directional antisymmetry, traceable directly to the nonlocality and directional correlation of initial conditions on the horizon, which is forbidden in standard models. Signatures of this primordial antisymmetry might already be measured in CMB anisotropy, and if they are indeed due to nearly-scale-invariant primordial spookiness, should also be observable in large scale 3D galaxy surveys, possibly even in existing data. DES may be the first dataset capable of detecting this direct signature of Planck scale quantum physics. While the case for dark matter continues to strengthen from the astrophysical side, particle dark matter has so far eluded the current generation of experiments, designed to probe the SUSY-motivated mass range of GeV-TeV scale dark matter. Meanwhile, the LHC has ruled out the simpler SUSY models, and the simple picture of a weak-scale, 30 GeV supersymmetric dark matter particle has begun to fade. In this talk, I will discuss recent advances in the search for Sub-GeV dark matter down to MeV-scale masses, and the path forward to new technologies capable of probing down to keV-scale mass fermionic dark matter scattering and meV-scale mass bosonic dark matter absorption. These include, but are not limited to, the use of superconductors as well as novel semiconductors as the target medium and readout stages. The energy resolution required to search for low-mass dark matter makes these technologies interesting as general imaging techniques for infrared and UV astronomy, as well as for coherent neutrino scattering and other low-energy rare event search experiments, and I will briefly touch on applications of these new technologies to those fields. General Relativity remains to this day our best description of gravitational phenomena. The theory has shown remarkable agreement with observations in situations ranging from the slow-velocities, weak-gravitational fields regime from the confines of our Solar System, to the highly nonlinear, dynamical regime of binary black holes mergers. Despite its tremendous successes, issues such as its quantization and the cosmological constant problem suggest that Einstein's theory might not be final theory of the gravitational interaction. Motivated by these questions, theorists have proposed a myriad of extensions to General Relativity over the decades. In this talk I will focus on theories with additional scalar fields. In particular, I will describe how some of these theories can evade Solar System constraints and yet yield interesting new phenomenology in the strong-gravity situations involving compact objects, i.e. neutron stars and black holes. Self-interacting dark matter remains a viable and interesting model for dark matter. For some types of self-interactions, the passage of a galaxy through some background dark matter overdensity will cause a separation between the centroids of the collisionless stars and the dark matter halo of the galaxy, which experiences a drag force from the self-interactions. For stars arranged in a disk, this would cause a U-shaped warp. In this talk, I will discuss our efforts to place constraints on self-interacting dark matter by looking for these U-shaped warps in SDSS galaxies. Our preliminary results show that this method can place competitive constraints on the self-interaction cross section. Although the standard Lambda-CDM model of cosmology is in excellent agreement with the observed cosmic microwave background (CMB) power spectrum, its prediction for the current rate of expansion H0 of the Universe is in tension with observations of the local universe at > 3 sigma, with local measurements preferring a higher value. Systematic causes have been investigated and not found to be the culprit. Could this then indicate new physics? My talk will present a new-physics solution to the Hubble tension that modifies the early expansion history of the Universe through the addition of an early dark energy (EDE) component. This behaves like a cosmological constant at early times and then dilutes quickly with redshift after some critical time. It therefore only influences the Universe over a small range in redshift. This solution is successful because the Hubble tension can be translated into an equivalent tension in the size of the sound horizon. If such an EDE becomes dynamical before recombination, it increases the pre-recombination expansion rate and decreases the sound horizon, shifting the expected peaks in the CMB power spectrum to smaller angular scales. These can be brought back in agreement with observations by an increase in the predicted value of H0, reducing the Hubble tension. I will present two physical scalar-field models for such an EDE, and their success with resolving the Hubble tension while still finding a good fit to most cosmological datasets. 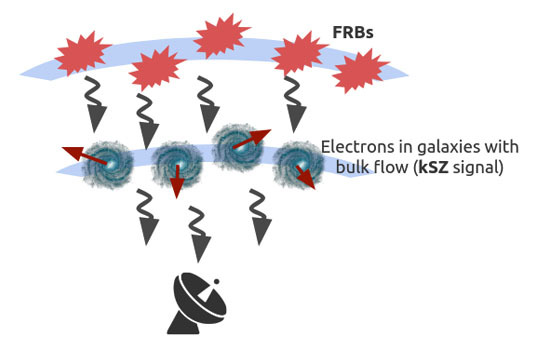 We show how kSZ tomography measures a bispectrum containing a cosmological power spectrum of the velocity field and an astrophysical power spectrum of the electron density. While these are degenerate up to an overall amplitude, scale-dependent effects on large scales are much better constrained by the inclusion of kSZon top of galaxy clustering while assuming nothing about the optical depth of galaxy clusters. This allows for factors of >2x improvement on the amplitude of local primordial non-gaussianity fNL with the absolute constraint from Simons Observatory + LSST crossing the theoretically interesting threshold of sigma(fNL)<1. We also discuss ways of measuring the (scale-independent) growth rate by breaking the optical depth degeneracy using either (1) redshift-space distortions or more ambitiously (2) the dispersion measures of fast radio bursts (FRBs). I will present the current inventory of binary black holes (BBH) collected during the first and second observing runs of the LIGO/Virgo gravitational-wave interferometer network. The ten BBH observed to date provide the means to resolve questions about their formation and population properties. As such, I will also present new estimates of the mass, spin, and merger rate distributions of stellar mass BBH. All analyses consistently find merger rate distributions over the primary mass which predict almost no black holes above 45 solar masses. 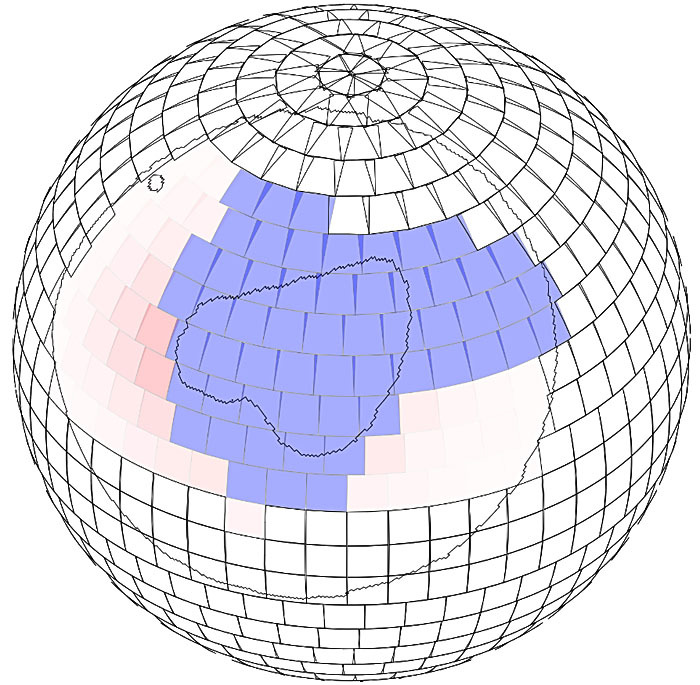 We also find that probes of the rate evolution with redshift prefer inclining or flat models. The inferred spin magnitude distribution strongly disfavors high spin magnitudes when the component spins are aligned to the orbital angular momentum. Finally, I will describe prospects for what the future might hold for BBH in future observing runs. Ivan Martinez-Soler, Fermilab and Northwestern U. 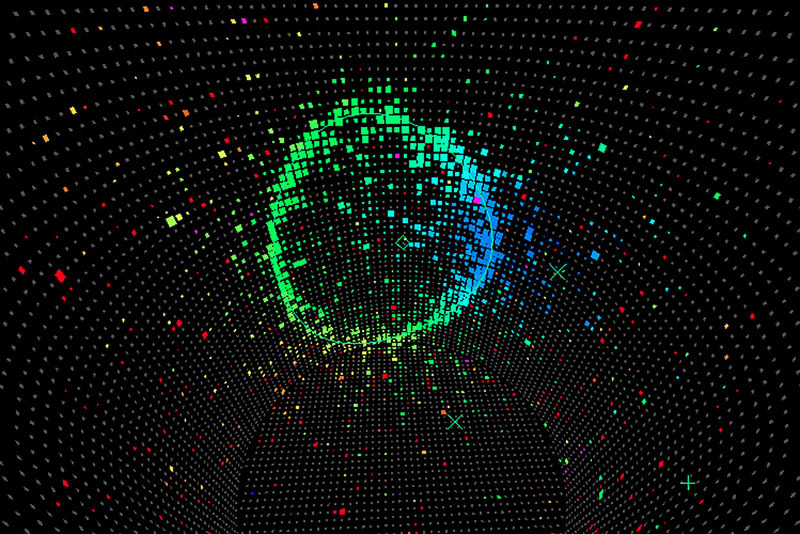 The observations of most of the neutrino experiments can be explained within the three-neutrino mixing scenario. Although the results of the different experiments are compatible, there are still some tensions in the determination of some parameters. For instance, in the solar mass difference, the latest global analysis indicates a $2sigma$ tension between the results of reactors and solar experiments. In the light of the future detectors, where neutrinos of high energy are going to be measured with high precision, the description of the neutrino evolution in matter is crucial. For that reason, the existence of non-standard interactions (NSI) between neutrinos and fermions would lead to a completely different description of the neutrino evolution. In this talk, I will discuss the latest bounds on NSI by using the available data from oscillation experiments and in combination with the coherent neutrino-nucleus scattering. In addition, this analysis will allow us to examine the status of the LMA-Dark solution. In the final part of the talk, I will address the implications of NSI in future observations. Now that LIGO has revealed the existence of a large number of binary black holes, identifying their origin becomes an important challenge. 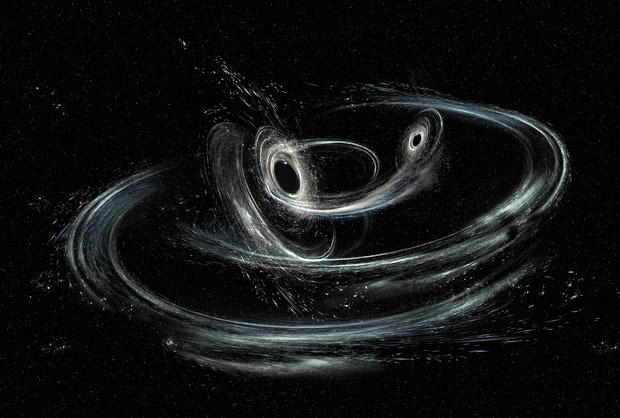 For dynamically formed binaries which might reside in dense environments such as galactic centers or globular clusters, the binary orbits could possess observably large eccentricity at LIGO and future gravitational wave detectors. Measuring the eccentricity distribution accurately could help us probe the background and the formation of the mergers. I will describe an analytical approach to predict the eccentricity distribution in a dynamical channel with three-body interactions. Furthermore, I will show that the third-body-induced barycenter motion of the binaries and the eccentricity variations might be observable in future space gravitational wave detectors such as LISA which could provide direct information about the black hole binary environments and otherwise invisible ambient mass. Gravity remains the least understood of the four fundamental forces. To address this, we would like to experimentally study the extreme phenomena in which the full nonlinear and dynamic richness of gravity comes into play. Gravitational waves are a unique tool to do just that: they carry uncorrupted information directly from strong-gravity objects (like black holes, or their mimickers), and reflect in their own basic properties (like polarization or speed) the fundamental structure of space and time. Thus, gravitational waves are an invaluable resource to experimentally test our best theory of gravity, Einstein's general relativity, in yet unexplored regimes. The ever-increasing number of signals detected by LIGO and Virgo has already allowed us to make progress in this direction. This includes precisely probing the strong-field orbital dynamics of compact-binary mergers, testing the nature of the resulting remnant object, limiting the mass of the graviton and constraining the speed and polarization of gravitational waves. In this talk, I will review the results obtained from the 11 existing confident detections (ten binary black holes and one binary neutron star merger) and explain their relevance in our effort to better understand gravity. I will then discuss the potential for these studies in the near future, as existing detectors reach their design sensitivities, and beyond. The first detection of the merger of two neutron stars offered, among a plethora of other things, the first constraints on the properties of extremely dense and cold matter with gravitational waves. In this talk I will outline how gravitational waves can be used to probe matter in conditions unattainable in human laboratories. 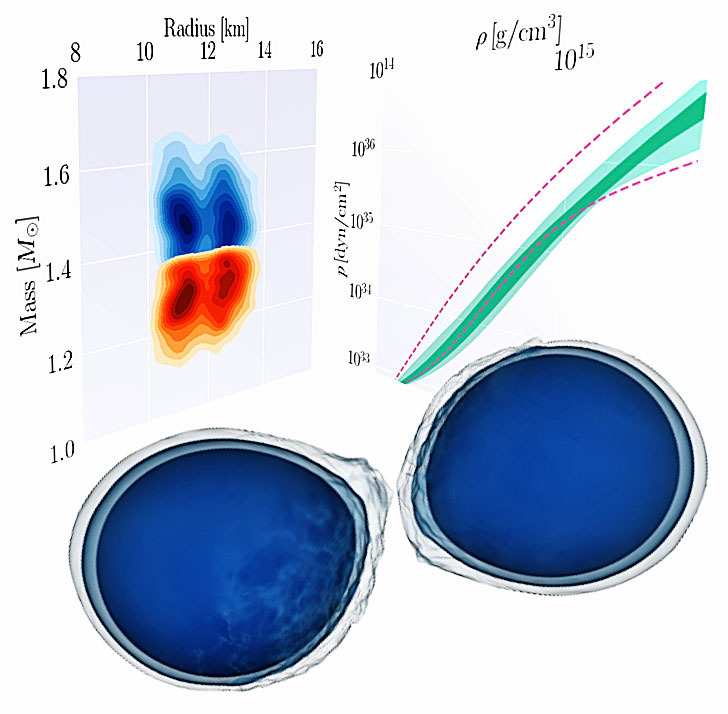 I will describe how the data from neutron star merger GW170817 has been used to infer the radius of the merging bodies and the properties of the equation of state of supranuclear matter. I will further discuss future prospects for equation of state constrains from improved gravitational wave detectors, as well as the post-merger part of the gravitational wave signal. Finally, I will discuss how these systems can be used to gain novel insights about nuclear as well as fundamental physics. Statistical evidence has previously suggested that the Galactic Center GeV Excess (GCE) originates largely from point sources, and not from annihilating dark matter. In this talk, I will examine the impact of unmodeled source populations on identifying the true origin of the GCE, using non-Poissonian template fitting (NPTF) methods. In a proof-of-principle example with simulated data, I will show that unmodeled sources in the Fermi Bubbles lead to a dark matter signal being misattributed to point sources by the NPTF. I will reveal striking behavior consistent with such an effect in the real Fermi data, finding that an artificial injected dark matter signal is completely misattributed to point sources. I will conclude that dark matter may provide a dominant contribution to the GCE. The Event Horizon Telescope (EHT) project is a very-long-baseline interferometry experiment to observe supermassive black holes at the highest resolution ever achieved, combining a network of radio telescopes around the world. Recently, the EHT announced its first results: imaging the nuclear black hole in the galaxy M87. The image reconstruction, and a geometric model fit directly to the interferometric data, reveal a bright emission ring around a central intensity depression, consistent with the expected shape for emission from around a Kerr black hole. In this talk, I will review the EHT results, including the instrument development and data processing that led to the first scientific outcome of the project. In the early Universe, galaxies boasted large reservoirs of gas that fueled a cosmic bonfire of star formation, at rates an order of magnitude greater than that observed locally. But exploring the properties of molecular gas from this era is exceptionally difficult; even sensitive instruments like ALMA and VLA have only made dozens of detections, generally only probing the most massive and luminous of systems. Understanding the molecular gas of this early era calls for a survey that can probe thousands or millions of such galaxies: a difficult goal if targeting individual objects, but may achieved by measuring aggregate emission from many objects, through a power spectrum technique known as "CO intensity mapping." In this talk, I will discuss two intensity mapping experiments: the CO Power Spectrum Survey (COPSS); which resulted in a tentative detection of bulk molecular gas at z~3, and the Millimeter-wave Intensity Mapping Experiment (mmIME), an on-going experiment leveraging the combined power of SMA, ALMA, and VLA to survey molecular gas emission from about a billion years after the big bang to the present day (0.2 < z < 6). With these surveys, we hope to build a better understanding of how the natal star-forming molecular gas of the early Universe transforms from pristine material into the dusty, smoggy clouds found in modern galaxies like the Milky Way; a critical piece in understanding how galaxies have evolved into their present-day state. I will present a machine-learning approach for estimating galaxy cluster masses from Chandra x-ray mock observations. I will describe how a Convolutional Neural Network (CNN) -- a deep machine learning tool commonly used in image recognition tasks -- can be used to infer cluster masses from these images, reducing scatter in the mass estimates by up to 50%. I will also show an interpretation tool, inspired by Google DeepDream, that can be used to gain some physical insight into what the CNN sees. Compact binary merger events recently discovered by the LIGO and Virgo Collaboration offer us excellent testbeds for probing fundamental physics. In this talk, I will first review the current status of testing extreme (strong and dynamical-field) gravity with gravitational waves from binary black hole and binary neutron star mergers that was previously inaccessible. In particular, I will explain how well one can probe various fundamental pillars in General Relativity. 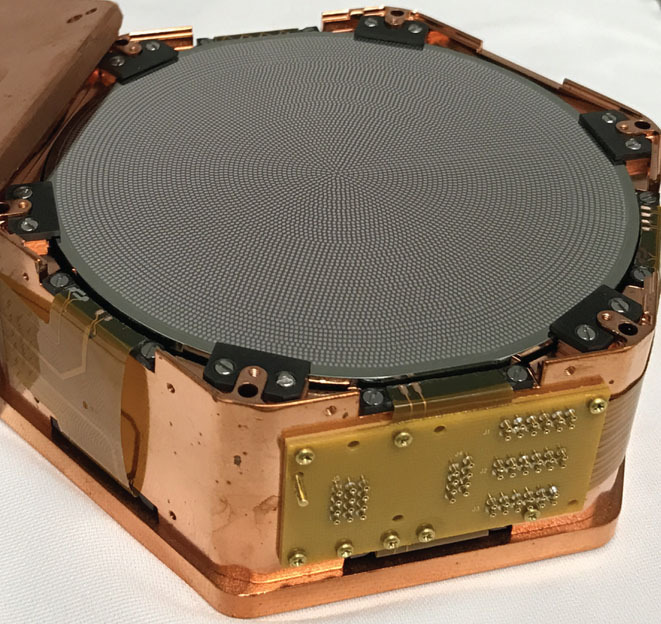 I will next review how these tests will improve in future and what kinds of new tests are possible once space-borne interferometers, such as LISA, are in operation. In particular, I will discuss the possibility of using multi-band gravitational-wave observations by combining space-borne and ground-based detections to further improve the power of probing extreme gravity with gravitational waves.